Where is C-PACE in MD? Bethesda, MD (September 26, 2018) — As the year unfolds, Maryland continues to experience successful C-PACE expansion across the state. Most recently, Cecil County voted to pass Bill No. 2018-13 on September 4th of this year, enabling C-PACE in the county. 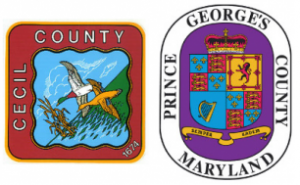 Prince George’s County Executive signed their own ordinance implementing C-PACE financing on August 8th of this year. The result of these developments is that in just a few short years, 17 jurisdictions in Maryland have enabled C-PACE programs. Of these, 15 have opted into the MD-PACE program (Montgomery County and Prince George’s County operate their own C-PACE programs). For projects initiated on or after July 1, 2016, through December 31, 2019, the Administrator may approve a clean energy loan up to 30 months after the property owner places qualifying energy improvements in service, as long as the property owner has filed an initial PACE loan application on or before December 31, 2019. If you have any questions about the content of C-PACE legislation that has been passed in Maryland or where to find such information, please reach out to PFS.